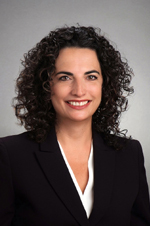 Sandra M. Jensen is a Partner at Garfunkel Wild, P.C., which she joined in 2015. Ms. Jensen is a member of the firm’s Health Care; Health Care Information and Technology; HIPAA Compliance; and Discharge Planning, Patient Rights and Elder Law practice groups. Ms. Jensen’s clients include federally qualified health centers (FQHCs), health systems, hospitals and physicians. Ms. Jensen regularly counsels FQHCs and look-alikes on regulatory issues including issues relating to compliance with HRSA and FTCA requirements. Prior to joining Garfunkel Wild, P.C., Ms. Jensen was an attorney within the Bureau of House Counsel, Division of Legal Affairs at the New York State Department of Health for nearly fourteen years, and served as Acting Director of the Bureau. The Bureau of House Counsel provides advice and assistance to almost all programs within the New York State Department of Health, including in relation to the Compassionate Care Act (Medical Marijuana Program), the Statewide Health Information Network of New York (SHIN-NY), clinical and environmental laboratories, blood and tissue banks, HIPAA, patient rights, Public Health Law Article 28 licensure and surveillance, Early Intervention, and emergency medical services. While at the New York State Department of Health, Ms. Jensen provided legal counsel on issues related to the Early Intervention Program, a program that provides therapeutic and support services to children with developmental delays or disabilities. Ms. Jensen also provided legal counsel on the implementation of the Compassionate Care Act (Medical Marijuana Program), Executive Order #38 and limits on executive compensation, licensure of hospitals, nursing homes and clinics, and matters relating to clinical laboratories. Ms. Jensen received her undergraduate degree from the State University of New York at Albany in 1994, and her J.D. from the University of Akron School of Law in 1997, where she was a member of the Akron Law Review.